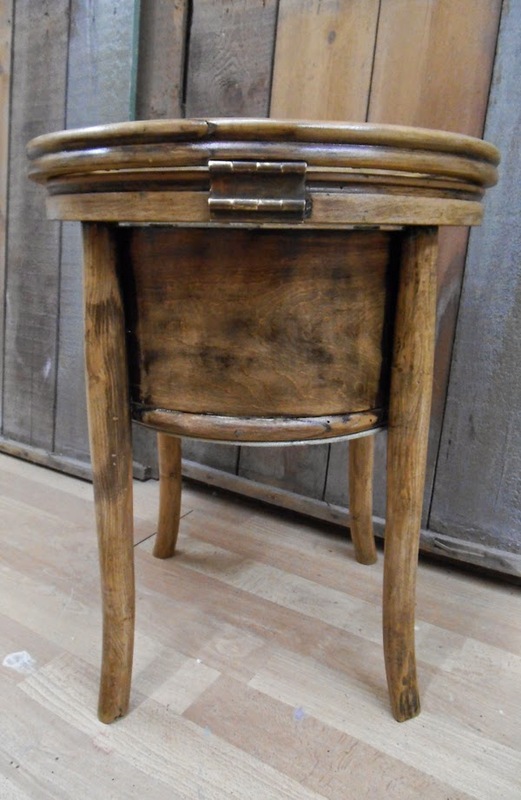 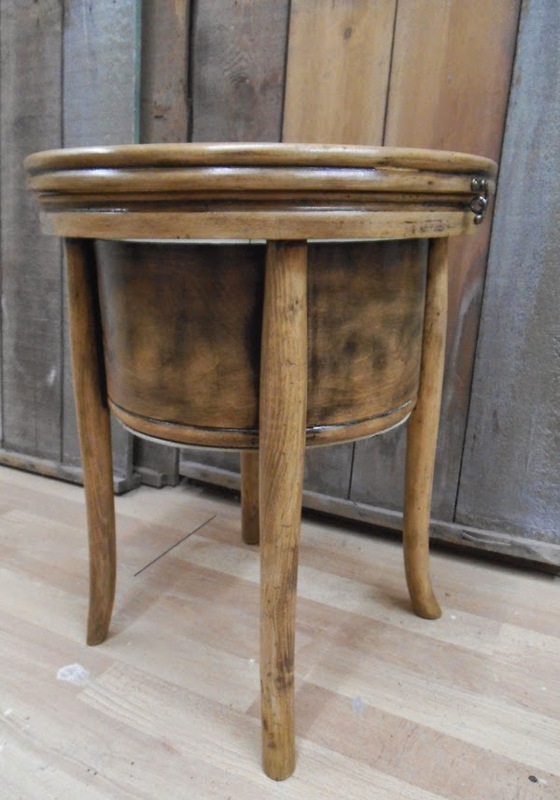 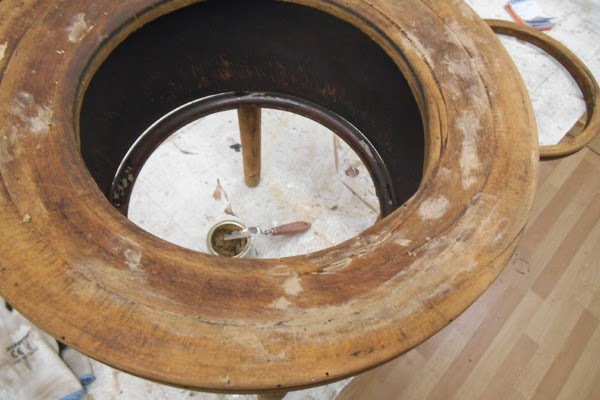 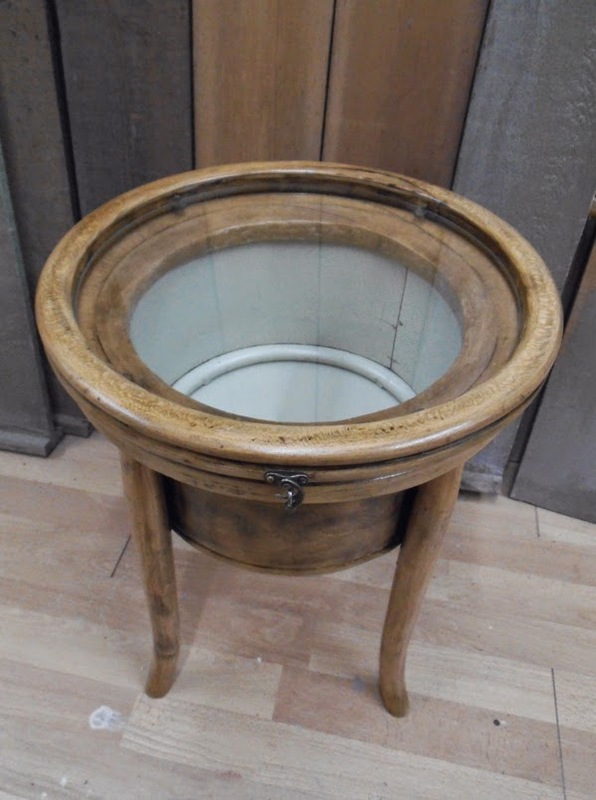 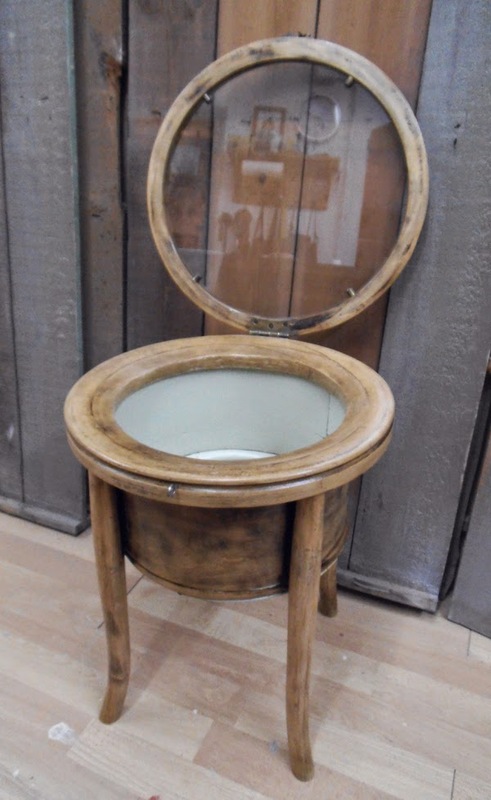 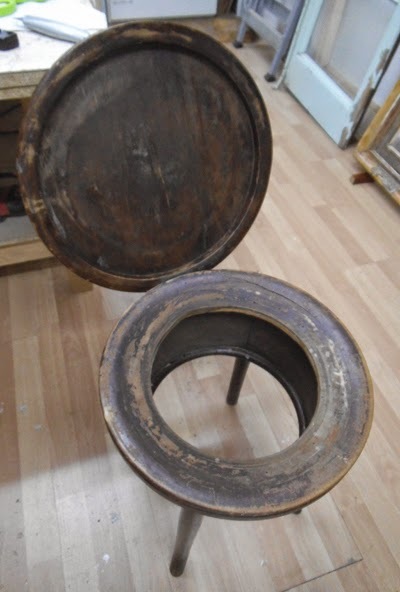 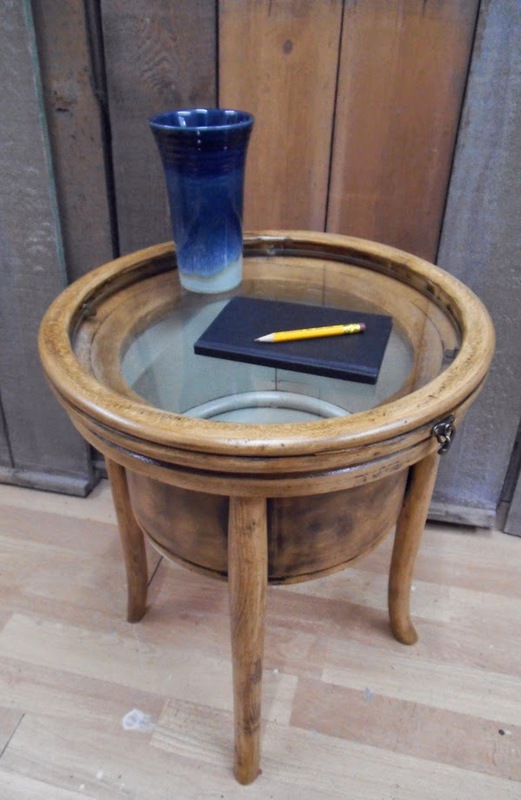 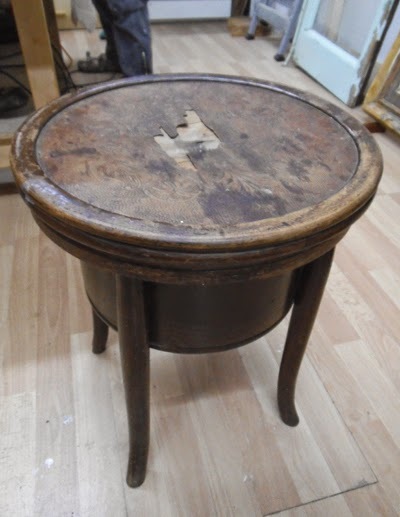 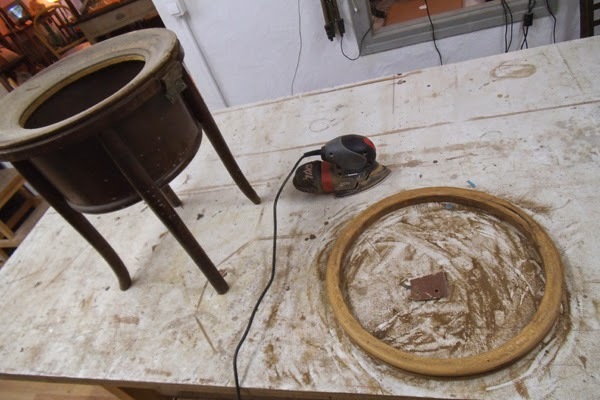 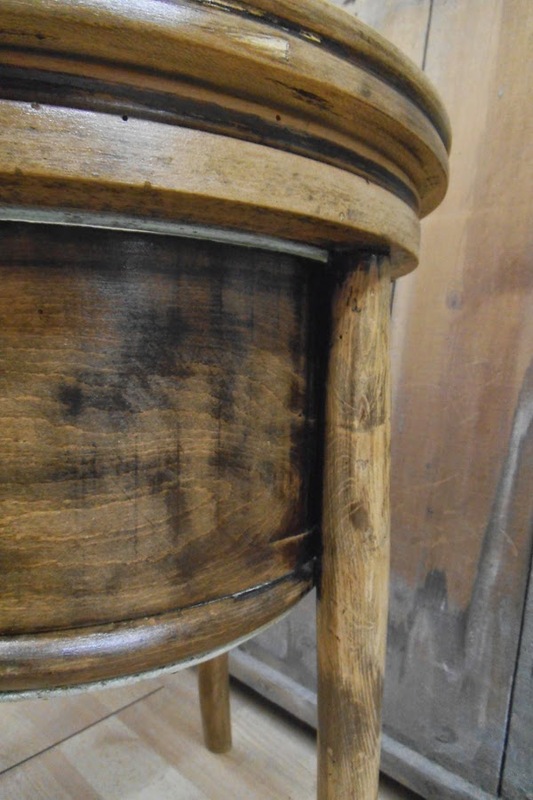 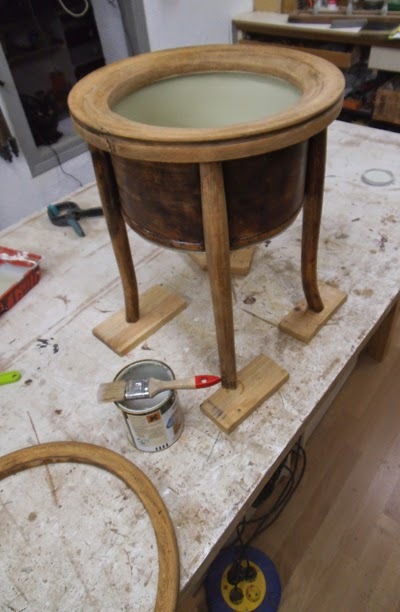 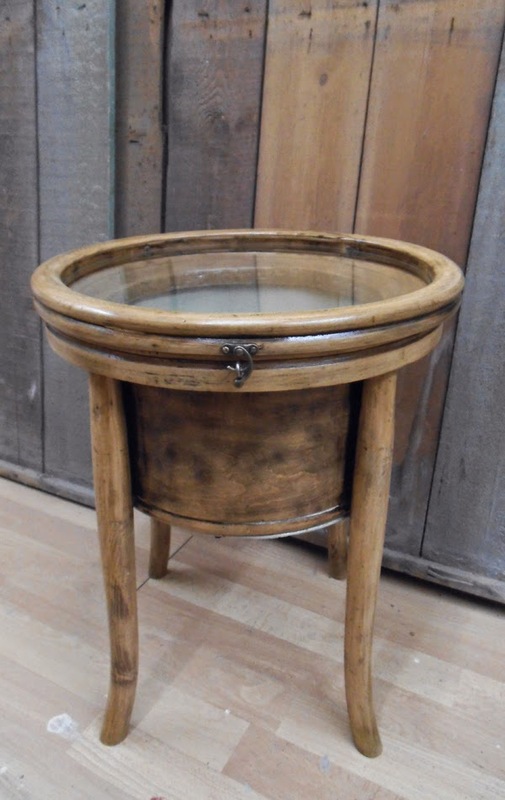 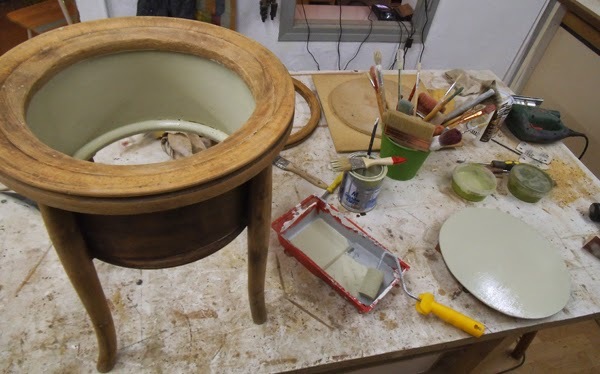 This project would be a good example of 'upcycling': a Thonet toilet stool from the end of the 19th Century in solid beech wood left behind its ignoble origins to become a swanky side table with a glass top and storage space inside. 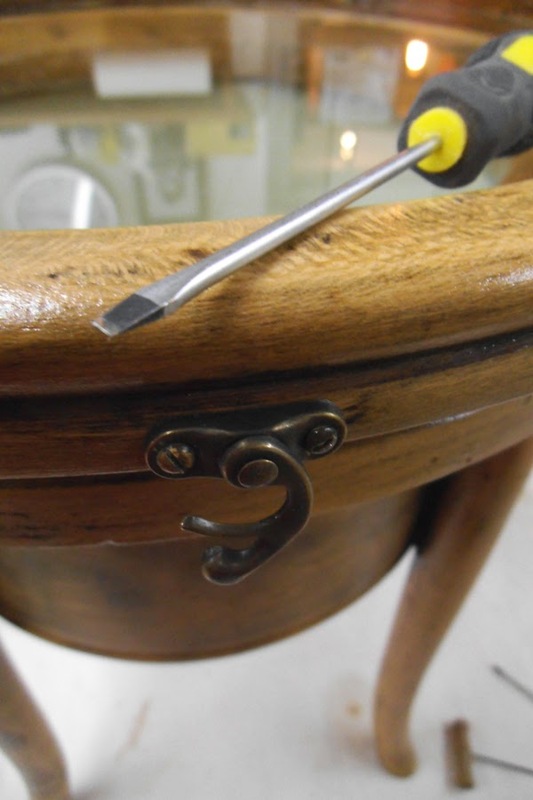 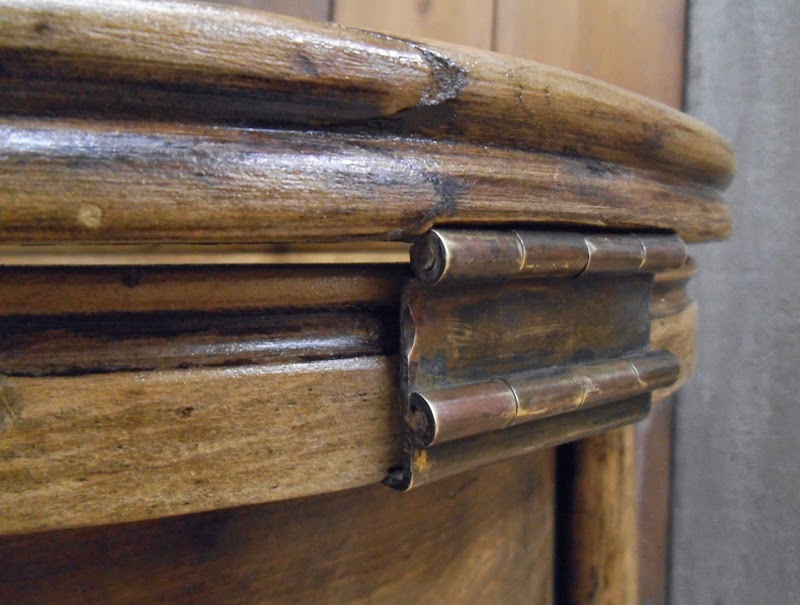 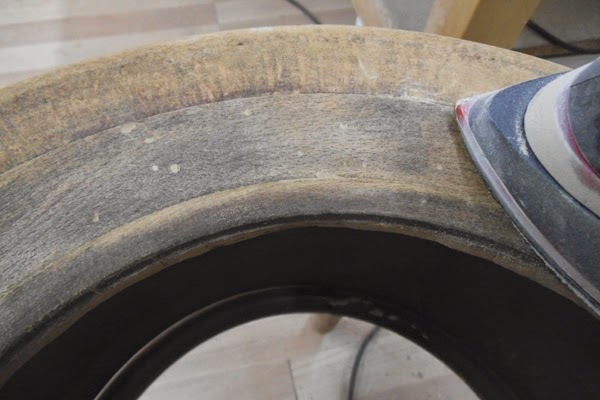 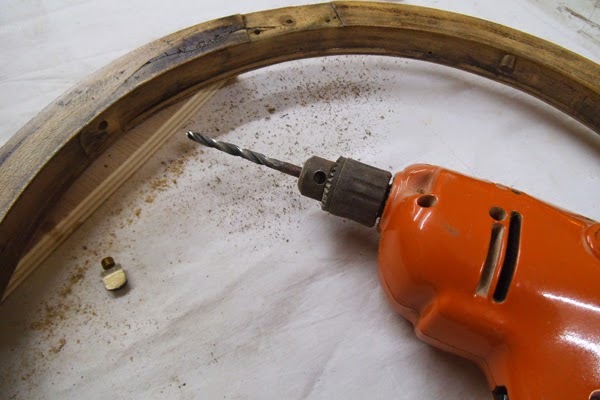 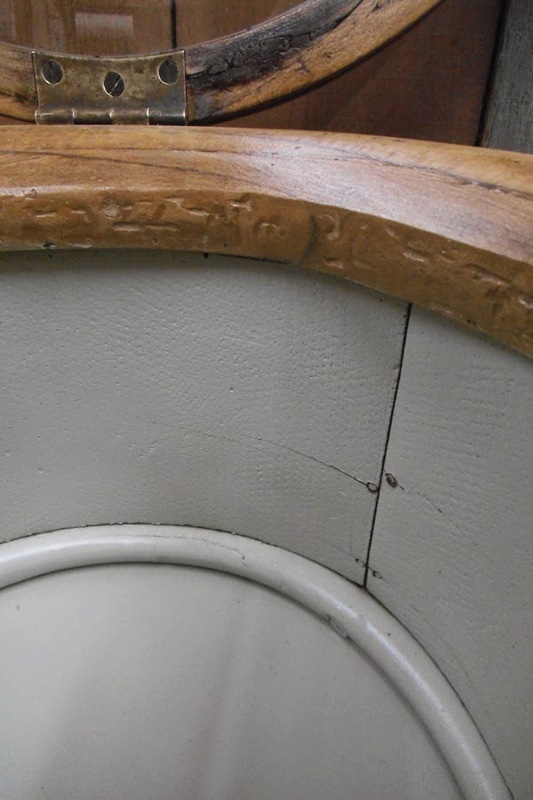 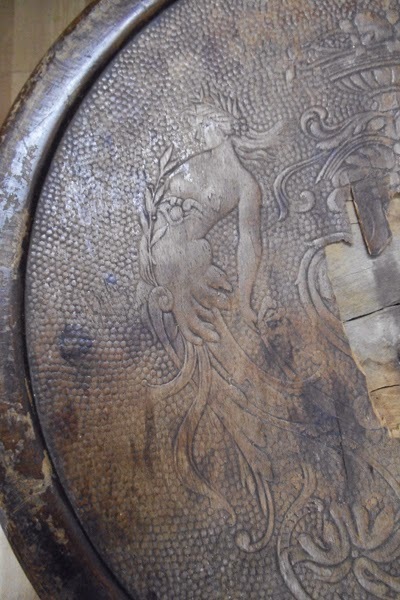 Check the detail pictures and the step-by-step restauration plus transformation process below. 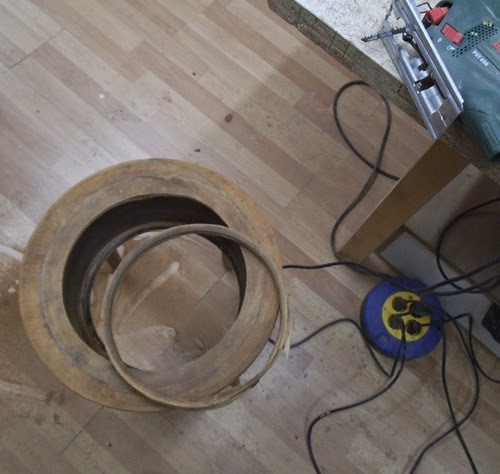 It was a time consuming, laborious task -but quite rewarding! 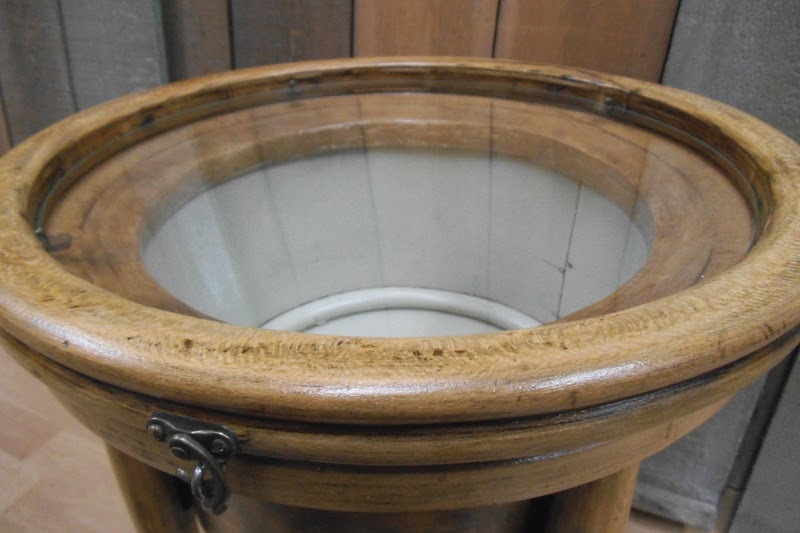 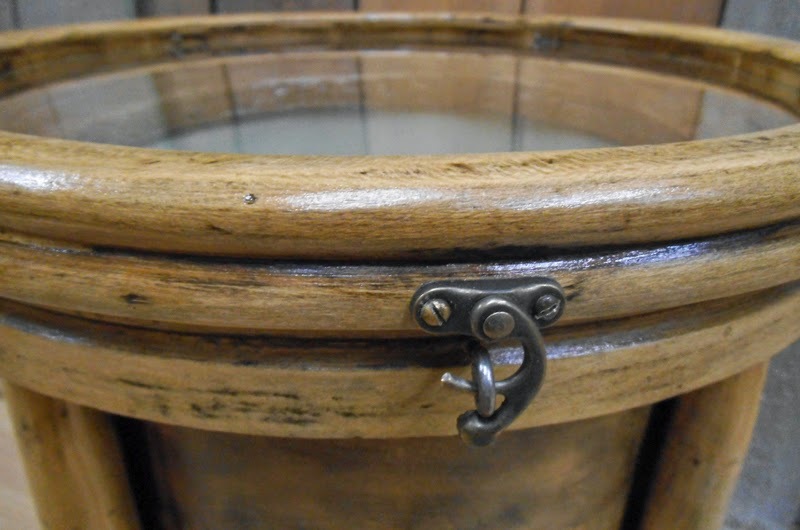 Measures: Lid 41cm diameter, height 50cm. 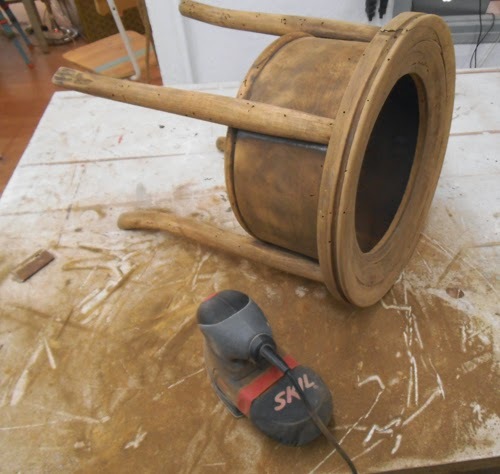 Filling each and every one of the tiny holes with wood putty, then sanding again the whole thing. 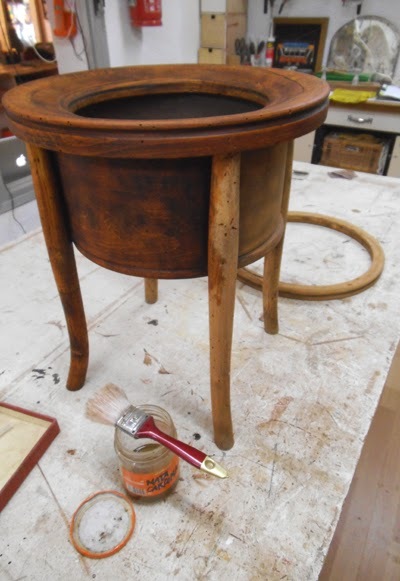 Cutting the bottom cover and painting the interior with a self-made mix of enamel paint. 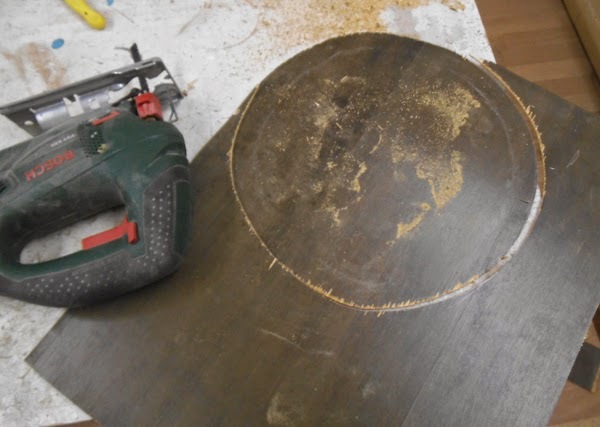 Nailing the bottom board, then varnishing the whole piece -it also got polished (not shown). 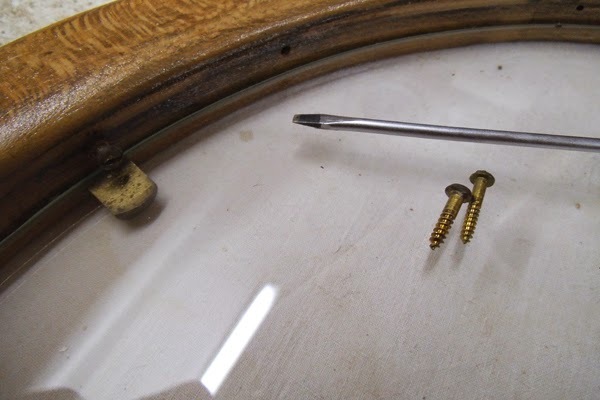 Fastening the glass pane to the lid. 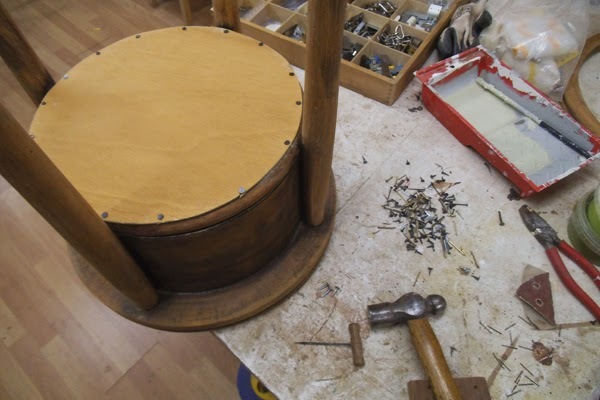 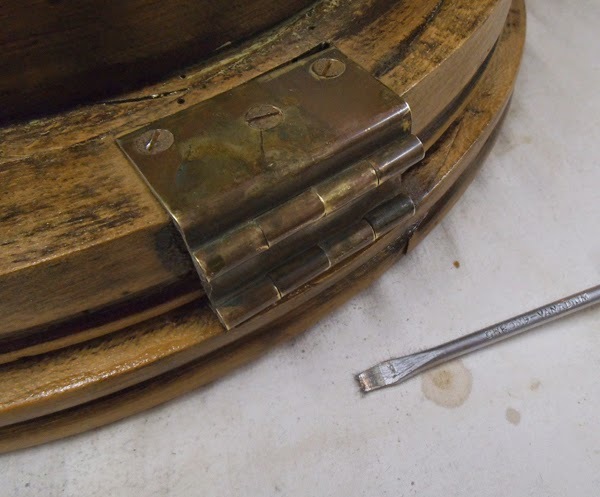 The final steps: attaching the lid to the structure and mounting the clasp.